September 05, 2018 at 9:30 pm. 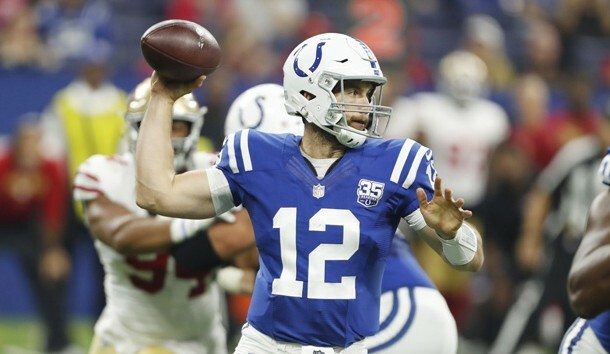 The object is to keep Luck upright because that’s how he was injured, by constantly taking punishment as the Colts’ offensive line couldn’t consistently keep defenders off him. “I told (left tackle) Anthony (Castonzo) on the sideline, I said, ‘Man, it was sort of fun to get hit by Suggs right there,’ and (Castonzo) he gave me a death stare,” Luck said. The problem is, the Colts have yet to decide on a starting right tackle from among Joe Haeg (the favorite), Denzelle Good, rookie Braden Smith and J’Marcus Webb, which might give the Bengals a place to start their attack on Luck. If Mack isn’t ready for Sunday, expect rookie Jordan Wilkins to get the start after he rushed for 75 yards in the preseason, with rookie Nyheim Hines in reserve.